This dairy free, gorgeous garlicky pesto is bursting with seasonal spring energy! Delicious stirred through gluten free pasta, in stir-fries and salad dressings. Plus it has many surprising health benefits. 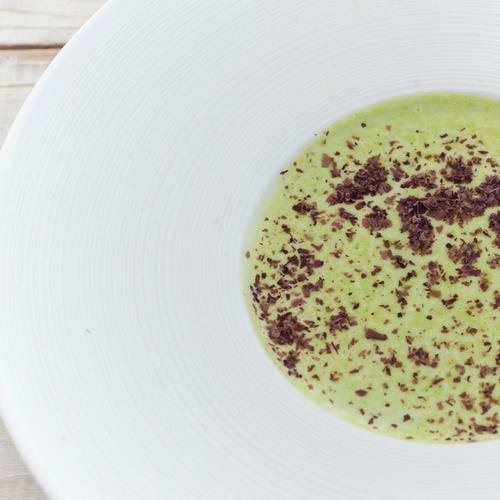 This wild garlic pesto recipe is more than a treat for your taste buds. It delivers a whole heap of health benefits too. Wild Garlic (Allium Ursinum) is also known as Ramsons, Wood Garlic, Devil’s Posy, Onion Flower, Stinkplant and Bear’s Garlic. It grows wild throughout the UK, flowering between April and June. Foraging for wild garlic can make a walk even more fun and the plant can easily be identified by its wonderful garlicky smell! It contains good amounts of vitamins A and C, calcium, iron, phosphorus, sodium and copper and is known to help with reducing high blood pressure. The antibacterial and anti-fungal compounds in wild garlic can also help to beneficially re-balance gut flora…and the many health benefits of wild garlic don’t end here. 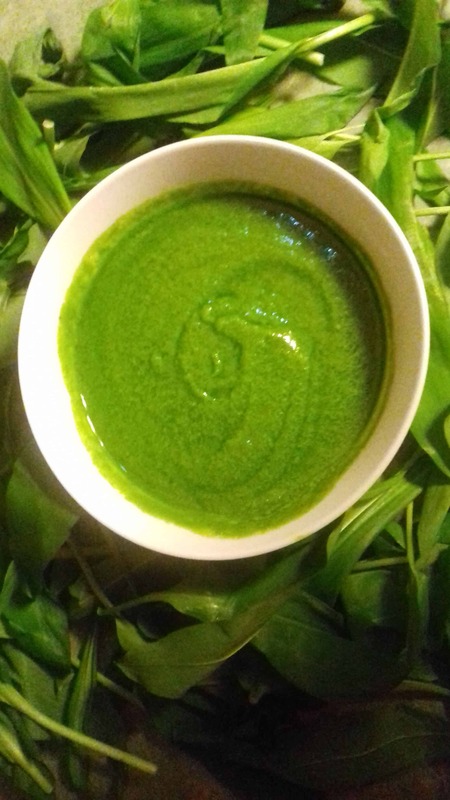 Medicinally speaking, there are many impressive uses for wild garlic, including in the treatment of high blood pressure, high cholesterol, stomach upset, and chronic disease, among others. This type of garlic can be used internally or topically as an herbal supplement or added to poultices and other home remedies. Garlic is known to have a soothing effect on high  blood pressure, which can lessen your risk of atherosclerosis, heart attacks, and strokes. Furthermore, wild garlic is able to lower overall cholesterol levels, keeping your heart in good shape as you age. The antibacterial and anti-fungal compounds found in this wilder form of garlic can help to re-balance the bacterial flora in your gut, which can soothe  inflammation, bloating, cramping, constipation, and other stomach issues you may be handling. The active ingredients in wild garlic have the ability to neutralise free radical activity before it can lead to cellular mutation and oxidative stress in different parts of the  body. This can lower your risk of cancer and other chronic diseases, such as heart disease or arthritis.